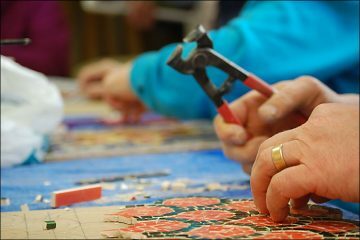 The art of making mosaics, unlike some other form of art, can be a very relaxing process that’s both cheap and convenient no matter your age. A lot of people created beautiful mosaics throughout the years, using some of the most unique materials possible. That’s because, when it comes to mosaics, you can use almost anything. The more colorful, the better. So, how about we give you a couple of the coolest and most unique mosaic DIY project ideas? 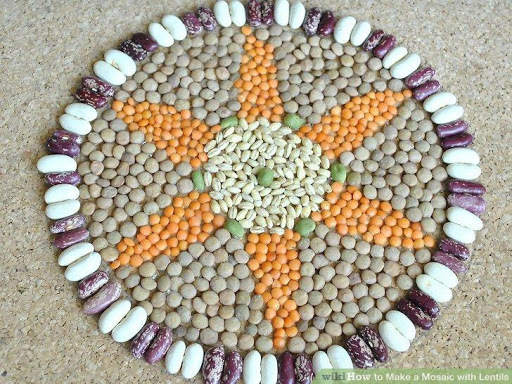 Step #1: First off, group all your beans and lentils, so it will be easier to pick each one from its very own pile. Step #2: Pick a design for your mosaic project. It can be something as simple as a flower, or maybe something abstract, a portrait, a landscape, whatever you feel is more suited. Feel free to browse the internet for some awesome mosaic patterns. Step #3: Start making the rough draft for your design. This will help you visualize what the end result will look like. Grab a thing sheet of paper and use a pencil to make the drawing. Tip: if you’re copying the image from the internet, place the sheet of paper on your laptop/computer/tablet screen and draw the edges and other details. Step #4: The purpose of this step is to transfer the drawing onto the surface of the canvas (or whatever support you’re using for the mosaic). There are two ways to do this. You can either copy the drawing by placing the paper with the drawing next to the canvas and then replicating the sketch. The alternative is to use a carbonless copy paper (CCP) placed between the mosaic support and the previously-created drawing and retrace the edges, so that the CCP can transfer the design onto the support. Step #5: Now that you have your drawing transferred to the support of your future mosaic, it’s time to start applying the lentils and the beans. Apply glue on a small surface and put the lentils over the glue. After 15 seconds, press gently onto the lentils, to help them stick to the canvas. Step #6: Repeat step #5 by working in small sections of your sketch, until the drawing is completely covered in lentils/beans. Step #7: Once the drawing is completed, spray varnish across the entire surface. This gives your mosaic a glossy look, with a nice shine to it. Step #1: If you’re ever out on the beach collecting seashells, don’t throw away the broken pieces. They can be used to create wonderful mosaics to decorate anything from your nightstand to a jewelry box. Pick the surface which you plan on decorating. Step #2: The next step requires painting the surface that you’re about to work on. While this is not mandatory, it would be a nice contrast to have a color that matches the color hue of the seashells. Also, if you’re decorating something as plain as a paper mache box, some color would be nice. Use a sponge brush to paint the surface of the object. However, keep in mind whether the surface of the mosaic is an indoor or outdoor object. When exposed to nature’s elements, you will need a more powerful type of paint. Step #3: Pick the pattern for applying the seashells. You can either choose to create a sketch, just like we explained in our previous lentil project, or you can scatter them around at random. If you do decide to copy an internet drawing, keep in mind that you’re going to need paper and a pencil to do so. Step #4: By using the mosaic adhesive, you apply a small amount of this glue on a specific area and then place the seashells on top. If you want to press them down to make sure they stick properly, be really careful with the amount of pressure applied. If you’re using full seashells, you could risk breaking them. On another note, make sure you don’t hurt yourself by pressing on sharp broken seashell pieces. You could use a small flat piece of cardboard, place it on the shells and apply a small amount of pressure. Step #5: Next, it’s time to mix the grout in a disposable container. It could be anything from an empty clean can of beans to a plastic container that you won’t plan on using for any food-related purposes. Step #6: Apply the grout on the entire surface of your masterpiece, by using your fingers or a spatula. The latter is a more indicated option, as it prevents you from getting too dirty and makes it easier to apply an even amount of grout. Make sure that the grout gets into all the crevices and cracks of your mosaic. Step #7: Once you’ve waited out for all the grout to dry, pick up a damp sponge and wipe away any excess grout from the surface of the mosaic. Rinse the sponge and wipe the surface as many times as you need to, to uncover the seashells. This process should be done with the utmost care, as there are chances of you pulling out the grout from the crevices. Step #8: Remove the excess grout gathered at the edges of your mosaic. 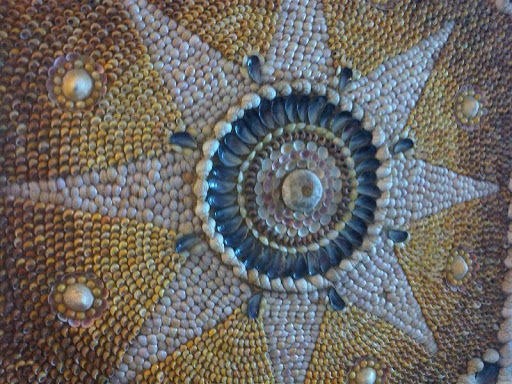 Leave the grout to dry overnight and you should now be able to enjoy your seashell mosaic creation. 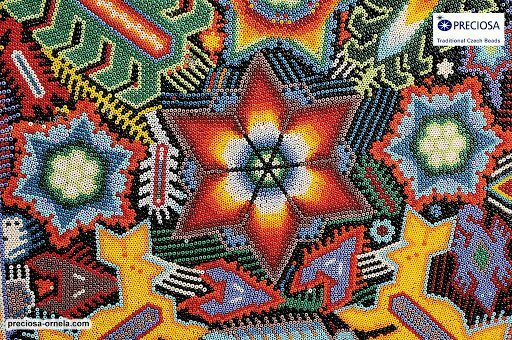 Because you’ll be working with something as small and slippery as beads, we recommend that you carefully separate them in color categories. 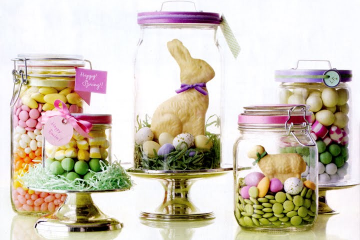 Use small containers to keep them in place. Tip: if you have a cupcake tray, you can use it to keep all the beads of a similar color in a cupcake slot. Step #1: For this project, we’re going to use carbon paper to transfer our drawing to the surface of the mosaic. We found that this is the easiest way to copy the drawing without any mistakes. So, the first step is to create the outline, sketch, drawing of your choice on a piece of paper. Since we’re not going to transfer it onto the mosaic surface yet, you’re allowed to make as many mistakes as you want. If you do, just grab another sheet of paper and start your drawing again. Step #2: Once you’re completely satisfied with your drawing, it’s time to transfer it to your working surface. Place a sheet of carbon paper in between your drawing and the mosaic surface and use a few pieces of painter tape to stick them together. This will prevent the drawing from slipping on the surface. Grab a pencil and retraces all the lines and details of the initial drawing. Step #3: Next, use your markers, crayons or paint to color the design of your project. This step is optional and it really depends on what your mosaic is all about. Assuming you want to create a landscape, you can use blue colors to create the sky and then later use your beads for other elements, like the sun, trees, birds or flowers. Step #4: Now it’s time to start placing the beads on your mosaic. This is where our recommendations become a bit vague, as the next steps of the process depend on what you want your mosaic to look like. You can apply the glue to create an outline of a specific detail, like the crown of a tree or a flower’s petal. Place the beads along the glue outline, to create the edges of that detail. Step #5: Now that you’ve beaded the outline, place glue in the center of the element. Then, place the beads next to one another to fill that element. If the beads you’re using are too small, use a pair of tweezers to grab them and put them in place. If needed, use a small brush to spread the glue on the entire element surface. Always keep in mind that you have to place the beads onto the squirted glue before it has the chance to dry out. That’s why it’s recommended that you work in small areas. Step #6: Repeat the process for every element of your mosaic. Create the outline and then fill it in with beads of an appropriate color. Make sure you allow the glue to dry as long as needed, preferably overnight. The package of the glue should provide clean instructions on how much time it takes for it to dry out. 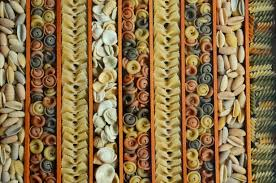 A mosaic made with pasta is one of the coolest DIY projects for both children and adults. So, if you’re ever stuck with your little one at home on a rainy Sunday, you’re both going to enjoy working on this together. Step #1: For this project, you could skip the part where you choose a particular pattern or image, as some of the most beautiful pasta mosaics are created by abstract symmetrical placement of the pasta. Pick the mosaic surface that’s going to be the mosaic support. 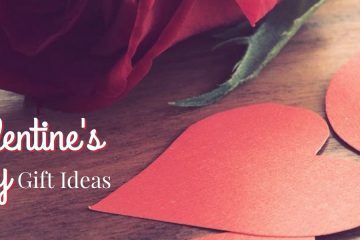 It can be either a canvas, an old box you want to decorate or a piece of plywood the kids plan on decorating their walls with. Step #2: While there’s pasta available in a multitude of colors, you can dye some pasta in the colors of your choice. Place the pasta in a sealed bag and add a few drops of liquid watercolors, to cover the pasta entirely. Shake the bag until the pasta is colored. Then, take it out of the bag and place it on a piece of waxed paper and leave it to dry. Step #3: When the pasta is dry, start your mosaic pattern in the middle. You can either glue them from the beginning or you can experiment with placing them around in different patterns, until you end up with a visual to your liking. 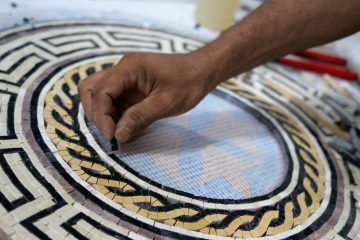 Step #4: If you already know what your design is going to look like, you can start applying glue to the surface of the mosaic. You can place a bunch of glue on a plate, the use a wooden skewer or popsicle stick to pick up some glue and place it on your working surface. Step #5: When all the pasta is in place and the glue is dry, you can apply a coat of varnish, to give the mosaic a nice and shiny look. The beauty of DIY mosaic projects is that the sky’s the limit. It allows you to use your imagination to recreate pretty much every drawing and pattern possible, while allowing you to play with abstract models that solicit your creativity. Mosaic projects are also quite inexpensive, since you can use materials that are lying around the house, like broken tile pieces, rocks, beads, beans, photos and many more. If you decide to take on a mosaic project with children, make sure you’re always monitoring them, just to make sure they don’t start eating the glue or any other small pieces.